Reiki (pronounced "ray-key") is a Japanese energy healing technique used for stress reduction and relaxation that also promotes healing of mind, body, and spirit. Reiki is based on the understanding that humans and all living things have a universal life force energy that flows through them. Pain and disease result when this energy is low or blocked by physical, emotional, or spiritual distress. Reiki is administered by a gentle "laying on of hands." Reiki practitioners place their hands on or slightly above a client and act as a channel for this life energy. The reiki removes energy blocks and balances the person's energy system. This promotes the body's self healing ability and provides a sense of peace and well-being. Clients are fully clothed during sessions and relaxed in a comfortable position. Reiki induces a powerful relaxation response, which promotes healing on a physical, mental, and emotional level. Anxiety is a terrible condition. It is something that most of us have experienced to at least a minor degree. For some people, it’s a condition that can be debilitating. The good news for those people is that there is a wide range of different treatments for anxiety. One of the treatments that some people with anxiety are turning to is Reiki. Reiki is a form of bodywork or energy work that uses a light touch on or around a person’s body to help heal them. 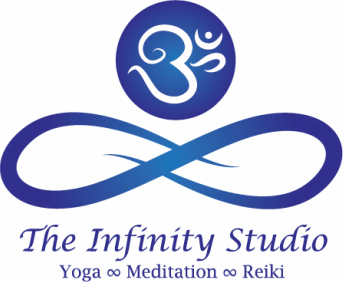 Disclaimer: Reiki is a natural method of energy clearing and balancing for the purpose of stress reduction and relaxation and may be used as part of an integrative healing or wellness program. While it can be used entirely on its own, Reiki is not meant as a substitute for medical or psychological diagnosis and treatment. It is recommended that you see a licensed physician or other licensed health care professional for any physical or psychological ailment, whether it be acute or chronic, that you may be suffering from or suspect that you may have. Reiki is not associated with any religious faith or belief system. Please Download the form below, print it, fill it out, and bring it with you when you attend your first session.